Transforming suburban landscapes into sustainable systems is at the forefront of current planning and urban design research. The Master in Urbanism “Regenerating Intermediate Landscapes” faces this challenge integrating both regional and community visions as well as strategies coming from different approaches and urban traditions. Our program provides a sound operational framework based on the theoretical and practical background currently available, and inspired on the long-established care for urban space in Barcelona. 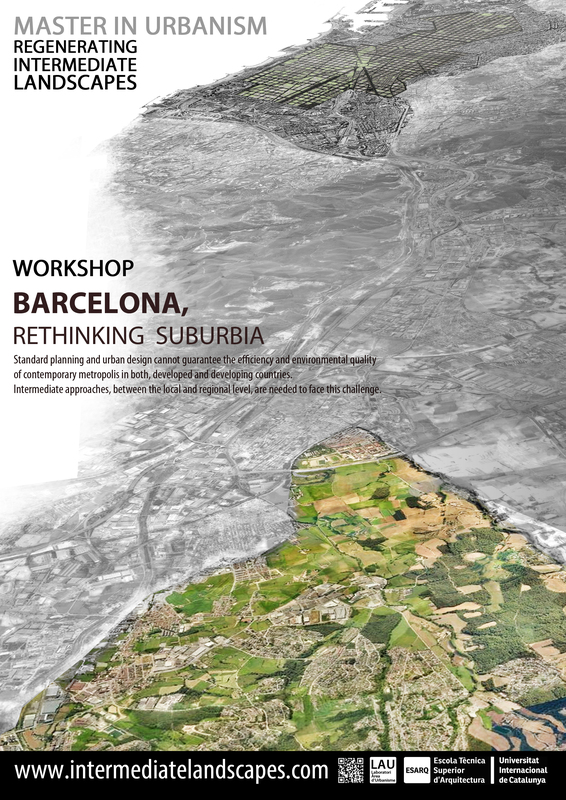 The present edition (2013-14) focuses on the topic BARCELONA, RETHINKING SUBURBIA, with the aim to bring together European and North American insights addressed to empower citizens for a creative regeneration of our metropolises.